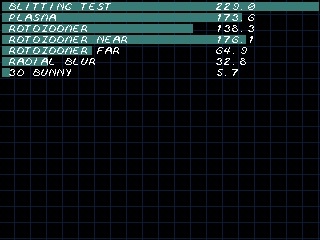 A graphics benchmark for Dingoo. To run you want to swap! 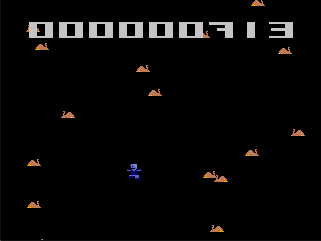 Smallball in Changeland is the first game released by both of us in Neotron under the Neotron logo. 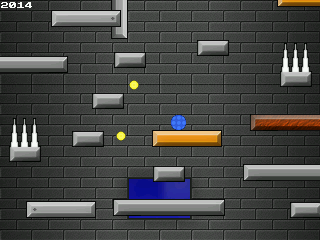 It is a fast-paced arcade-game where you have to gather as much points as possible as quickly as possible. It was designed to have that "Just once more"-feeling which turned out quite well. There is also some very catchy music and some cool interactive backgrounds which a screenshot cannot do justice to. Have a try, it can get quite addictive. Ported to Caanoo by BAFelton. Tilt sensing added by techdude59. To turn tilt sensing on, press B. To turn tilt sensing off, press A.
SmallBall is free, spread it as much as you want. You can also look and learn as well as improve on the included source code. However, you may not change the content of this original version and you may not sell it. If you like our games and want to encourage us to continue making free games, we'll gladly accept a donation. Any amount is appreciated and it can be done through paypal, to "imerion@gmail.com". Any questions goes to that adress as well. NeoTron games is : Daniel "Imerion" Eriksson and Marcus Fredriksson. Code, Graphics and Ideas by Daniel Eriksson. Music, Graphics and Ideas by Marcus Fredriksson. Ideas and Testing by Josef Johansson and Daniel Nilsson. Tilt sensing added by techdude59. Up turns tilt sensing on, Down turns tilt sensing off. 4. Once “Firmware upgrading…” message appears, release the R button. 5. If “Firmware Upgrade Complete” message pops up, upgrade is complete. 4. When “Firmware upgrading…” message appears, release the R button. 5. Once “Bootloader was updated” message appears, repeat step #3-#4. 6. If “Firmware Upgrade Complete” message turns up on the screen, upgrade is complete. After a minor (one line) modification to Alister's OpenJazz source code, I have the latest version running (mostly) properly on the Wiz. I have also updated the archive with the version of SDL I am using, which should eliminate tearing on screen. Please note, I am not a programmer, so I don't know how to fix the garbled-looking opening cutscene or Jazz's stuttering steps as he runs uphill. I just got lucky figuring out the line to change to make the colors correct. I found the game to still be quite enjoyable, though, so I figured I should release it. 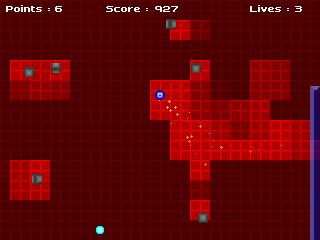 Improvements over the old release include the plasma-y effect on the menu screen, enemies properly exploding, and more! You're all waiting for some more news, and yes, I can give you some. It seems like CircuitCo is finally moving forward. They seem to come along well with my new tester and had success in fixing the boards that have issues. Should finally be time to expect a new shipment from them, huzzah! I also got a few positive responses from various companies in Germany. Two from Munich, which is what I prefer, since I can easily visit them there (not far away). They are all interested in producing the Pandora PCB and are now working on a quotation. I will probably visit them next week. Wizznic is an implementation of Puzznic for Gp2X Wiz, Linux and Windows. ..plus some useful suggestions (what SD card to buy, the screen-scratch protector film, the customizing stickers). Geek 'em Up is a sidescrolling shoot 'em up. Did you ever ask yourself how your favourite game genre would look as a shoot 'em up? 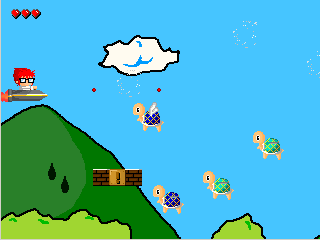 In Geek 'em up each level is designed after a different game genre.